The Spencer Museum of Art is an ideal place to seek inspiration and engage with art and ideas in a group setting. The Spencer Museum of Art offers guided tours of special exhibitions and permanent collection galleries for groups of 5 or more. Schedule a community group visit. 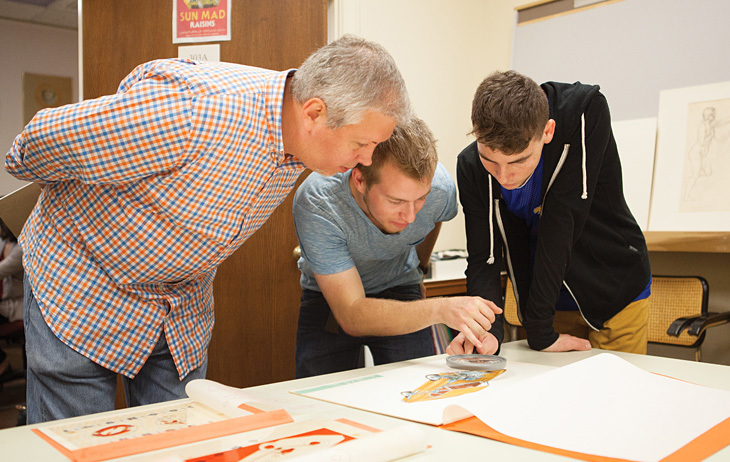 The Spencer’s Department of Academic Programs facilitates interactive learning opportunities for University of Kansas classes as well as other colleges and universities. Schedule a university class visit. The Spencer’s Department of Education offers opportunities to enhance educational experiences for K–12 students. Schedule a K–12 class visit.